The losses were piling up on the road trip, but the Boston Bruins stopped the bleeding with big wins in Buffalo and at home Saturday night against Toronto to salvage a tough stretch and keep teams behind them in the standings at bay. Saturday’s 3-2 victory was especially heartening, as the B’s saw a Brad Marchand go-ahead goal with under 13 minutes remaining in the final frame get wiped out on a coach’s challenge that ruled the play offside. After contending with some pretty one-sided officiating all night that play seemed to convince the skeptics that it wasn’t Boston’s night, but the Hockey Gods smiled down on the TD Garden, and a Martin Marincin gaffe allowed for Marchand to pot the winner with under a minute remaining in regulation to break a 2-2 deadlock. The referees- Dave Jackson and Justin St. Pierre– made me feel at times like Professor Terguson from the 1986 Rodney Dangerfield comedy Back to School. The role put comedian Sam Kinison firmly on the map with his “Oh, Ohhhhhh!” battle screech from the mid-80’s until his death in a car accident in 1992. The officials last night brought out the absolute worst that is the two referee system in hockey- two guys who just seemed to make inconsistent, subjective calls at whim while players like Nazem Kadri disgraced the game by flopping to the ice anytime a Bruin touched him without being held accountable. I guess I should not be surprised given Jackson’s reputation, but if this is the kind of effort the fans can expect- then why bother, NHL? Just put the teams out there and let them decide everything themselves- you wouldn’t get much more bang for your buck than what those two did last night. And with that, I cede the floor to Professor Terguson/Sammy K.
This Bruins team is a game bunch of players who put in a good effort on most nights even if their hard work isn’t always rewarded with a win. For the past several weeks, they’ve been without center David Krejci, but Ryan Spooner rose to the occasion by playing like the 2nd-line pivot that many of us felt he had the potential to be. With Krejci close to returning, that’s good news for the B’s but the issue with this club is not the scoring as much as it is a lack of a viable championship-caliber defense. Unless Don Sweeney and his scouts can figure out a way to bring someone in, then fans can expect that this is about as good as it will get. Tuukka Rask has shown that he has more than enough talent and experience to carry the team at times, and Jonas Gustavsson has been the serviceable backup that the team hoped Niklas Svedberg would be a year ago. However, without a balanced defense, the Bruins are a middle-of-the-pack team, and even the most optimistic of observers aren’t blocking off their calendars in May and June for an extended playoff run. The B’s are doing about as well as they can, even playing above their heads for stretches of the season. However, the elephant in the room is the current makeup of Boston’s defense. The team knew this would be a sticking point when Sweeney traded Dougie Hamilton last June, and the 22-year-old has certainly not taken that next step that seemed a given just seven months ago, but make no mistake: the loss of Hamilton opened up a void that the GM was simply unable to fill and we’re seeing that with a 23-16-5 record and 4-5-1 in the last 10. The B’s are losing games that during the Claude Julien era they wouldn’t have in previous years, by losing leads because they depend too much on their goaltending and forwards to cover up for a group of players that works hard, but lacks the talent and ability to match up effectively against some of the NHL’s better offenses. 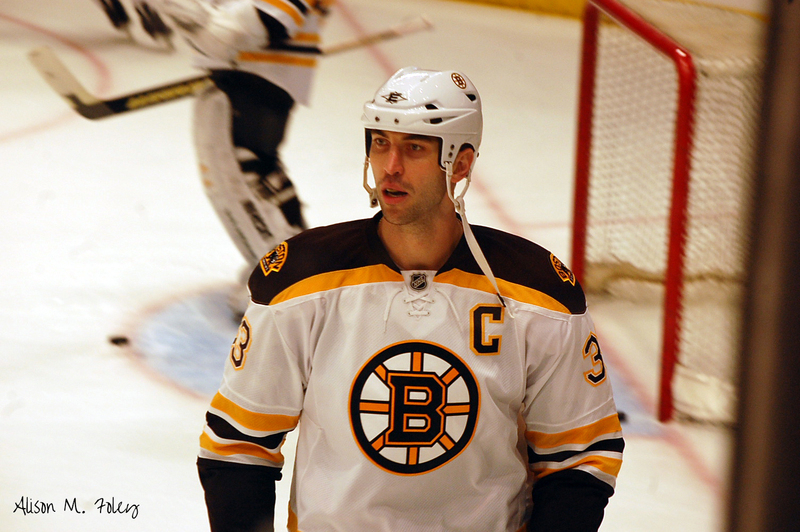 Zdeno Chara is the easy target for fans, frustrated by the fact that father time is catching up to him at age 39 (in a couple of months) and hoping against hope that Sweeney could make a trade for new blood using him as capital. Here are just a few reasons why that isn’t going to happen: 1. He has a no-trade contract and a wife expecting twins in 60 days. Even if he wanted to play for a contender, it is highly doubtful Chara would even consider putting Tatiana Chara through the turmoil such a move would put his family through. That reason alone precludes serious consideration of any others, but here they are: 2. His best years are clearly behind him, and if you are a Boston fan, do you really think that another team would give the B’s the kind of value that improves the team today? If your answer to that question is yes, then I would submit your position is pretty unserious and you might want to learn a bit more about how the NHL works. I don’t say that to be arrogant, it’s just a fact. 3. There is simply no other defenseman remotely close to assuming the role Chara has on this club. It’s easy to declare he should be traded while Boston can get something for him, but with the NTC and a diminishing body of work, the return isn’t going to justify the net effect of such a move, which would be to elevate Torey Krug or Dennis Seidenberg to the top spot, a role neither player is suited for or capable of at this stage in their respective careers. Even when not producing the results that fans seem to have taken for granted in the decade Chara patrolled the Boston blue line, he’s still an integral part of the roster and Julien’s system, whether we like it or not. Besides, assuming Chara asked out and wanted to be dealt (which he doesn’t at present) there is no shortage of teams that would want to add him, but those clubs aren’t going to give up a premium young roster player in return- that defeats the purpose of adding Chara to a contending team’s lineup in the first place. The best the Bruins could hope for is a young prospect along the lines of a Colin Miller, but more realistically, the trade partner team would give up a 1st-round pick for him, and that’s about it. If you want an improved Boston team in the present and immediate future (next year) that scenario doesn’t help. You can probably make a good trade on NHL ’16 involving Chara, but this is real life so just stop with the video game mentality, please. But getting away from trading Chara for a second- the future Hall of Famer is worth far more to the Bruins than he is most anyone else. It would be one thing if the B’s had a legitimate young colt waiting in the wings and approaching the time to take over as the No. 1 defender on the Boston roster. Right now, Sweeney and Co. don’t have that player. They don’t even have a clear-cut No. 2, leaving Krug to take on more of that role, but with very little help around him, as the rest of the defense corps in Boston right now is at best a group of 5/6, bottom-pairing guys. That situation places enormous pressure on Chara and results in his minutes being much higher than they should be at this stage of his career. So, to close out the thoughts on Chara- he’s clearly not the player he once was, but that doesn’t mean it’s an easy answer to just trade him and be done with it. He can still be effective in the right situations because of his size, reach and experience, but his lack of foot speed and declining skill set means that the team that employs him as a top defender cannot rely on him to perform like the dominant No. 1 he was in his prime. That’s sad, but the team and fans, at least in the short term, must come to terms with that fact and look for options that include Chara for now, because with that NTC and a lack of a viable marketplace at present, he isn’t going anywhere. Krug has earned his way this year as a very good No. 3/4 at the NHL level. He does all the things you want from a puck-moving defenseman, making a brilliant neutral zone pass to spring Patrice Bergeron for the first of his two goals. Krug also put on an impressive display of skill during the second period when he stickhandled through the Toronto defense and deked Jonathan Bernier out of the Leafs net before losing the handle at the last second. However, he saved his best for last when Rask got caught out of his net and lost the puck to Tyler Bozak, who flipped it back to P.A. Parenteau. Krug’s instant recognition of the unfolding play allowed him to go right to the crease and cover for Rask. He dropped into the butterfly and absorbed Parenteau’s shot (that would have broken a 2-2 tie late in regulation and likely crushed Boston’s spirit). When we talk about how Krug can’t physically outmatch the bigger, stronger forwards but that he needs to play smart defense, there is your exhibit A. He could have chased the puck and tried to make a play on it himself, but he had the hockey IQ and situational awareness to cover the cage with Rask out and made a game-saving stop while doing a pretty passable impression of the former Vezina Trophy winner in the process. Krug is Boston’s best defenseman after Chara- if he was about 4 inches taller and 20 pounds heavier, he’d be that ideal heir apparent that Boston so desperately needs. As it stands, Krug’s tremendous character, competitive drive and ability mean that he is worth getting locked up after this season and if it were up to me, I commit the expected $5 million he’ll command on the market to do so- he’s worth it, and the team can’t afford to bank on unknowns like Matt Grzelcyk, Rob O’Gara or even Brandon Carlo right now by allowing Krug to follow Hamilton out the door. Against Toronto, we saw flashes of what Joe Morrow could be, but we also witnessed the likely effect of not playing every night, as he mishandled pucks and turned them over in several instances when a better decision to move the puck out of danger would have been smarter. The more I watch Morrow, the more evident it is to me why Pittsburgh and Dallas both decided to trade him. He’s a complementary player- not someone who is likely to develop into a top-3 NHL option. Morrow’s impressive skills are clearly evident when you watch the way he can carry the puck and will jump into the rush, but he looks like more of a specialist than a heavy lifter, and that’s a shame. C. Miller has the best potential of all the youngsters at the pro level currently, but he’s not a player who can play unsheltered minutes and expect to instill confidence especially late in close games. There’s a valid argument to be made that Chiller should be in the lineup over Kevan Miller and Zach Trotman, especially with Adam McQuaid out, but he gives away toughness and size, even if the difference is so trivial that it seems inconceivable that the Boston coaches would not use him more. Trotman is big and mobile…he can make the crisp first pass and it showed last night with a helper on Bergeron’s second goal. He doesn’t have a big NHL upside, but he’s a serviceable player. With more physicality in his game, he might get more recognition than he does. 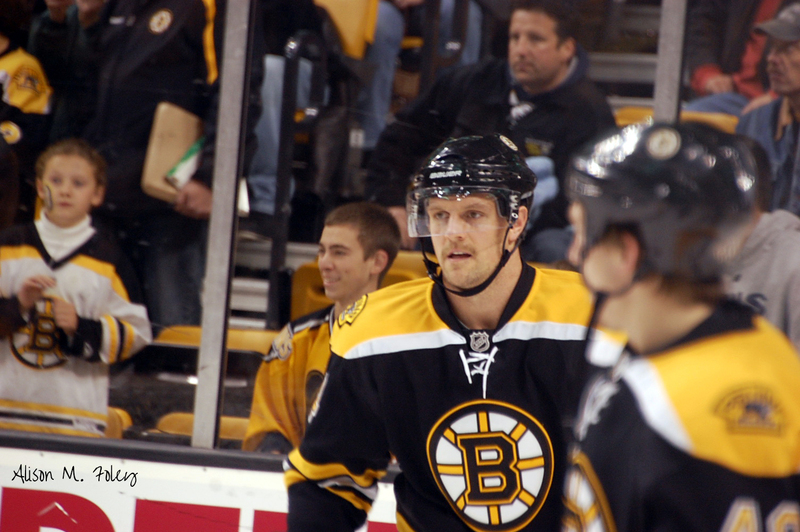 Dennis Seidenberg is a warrior, and I’ll always respect him for what he did for the Bruins when they traded for him in 2010 and a year later, he was one of the stalwarts that helped bring Lord Stanley back to Boston. However, he’s playing far too many minutes for what he can bring to his team on a consistent basis. He was solid against Buffalo and Toronto, but those are two clubs behind Boston in the standings- when up against the higher-end teams like Washington and St. Louis, DS44 struggles with containment and coughing up the puck under pressure from the ferocious fore check those clubs can employ. If he was contributing on the bottom pair, that would be one thing, but like Chara, too much is asked of him. Ditto Kevan Miller- as good and hard-nosed a guy that you will find, but who is simply being asked to do too much and play too many minutes. It’s too lazy to just point to him and say he’s unworthy as an NHL defenseman- that’s simply not true. However- the issue is with the role the B’s have him in. Like Hal Gill in the early 2000s when Ray Bourque was gone and Chara was several years away from signing as a free agent, Miller is in over his head. It’s a shame, because as a bottom pairing D- he’d be a fan favorite. He was when he first showed up in the 2013-14 season with a younger, better cast around him and went out and rocked opponents nightly. He didn’t just forget how to play- but you can’t expect a role player to evolve into a top-2 or 3 option if he isn’t suited for it. And so, that’s what we get with No. 86- a nightly adventure wherein we wonder what exactly we will get when he’s out there. That’s no way to set conditions for success, but given the team’s current state of affairs, it’s what we’re left with. So- to wrap up. This defense is a gritty, gutsy group that does the best it can with the talent it possesses. Adam McQuaid is the embodiment of this defense both as a tough, rugged, character guy who gives you every ounce of what he has, but also as a limited talent who pays the price for his physical style and is asked to do more than he is capable of. It isn’t a lack of want to for the Bruins defense, but in pro sports, heart and will can only take you so far- if the other guys are more talented and have more of them, then your ability to separate from the pack is greatly hampered. This B’s defense deserves credit for trying, but the NHL is a cold, results-oriented business. If teams won because of effort or grittiness, then the Buffalo Sabres would have won a Stanley Cup by now. The Bruins have some potential help coming in the form of youngsters like Grzelcyk, Carlo, O’Gara…Jakub Zboril and Jeremy Lauzon look like they could infuse the roster one day with the blend of skill and ruggedness needed, but none of those players are ready. So Sweeney’s challenge is to try and find a player who can not only help now, but be the bridge to a better future than just staying in the middle of the pack and therefore not getting as good a chance at drafting and rebuilding that the league’s doormats get. 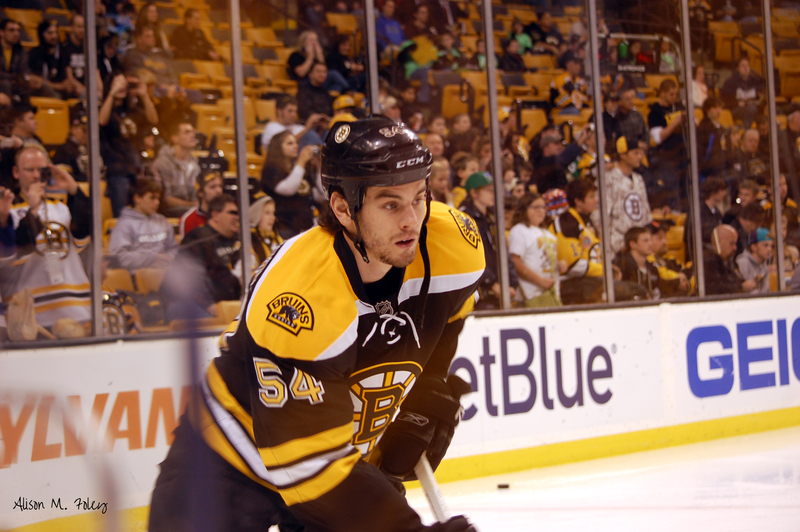 Colin “Chiller” Miller has made an immediate impact in Boston despite the team’s early struggles. It’s Sunday and with NFL games kicking off and the late afternoon hockey game in Brooklyn, here’s a breakdown of Boston Bruins rookie defenseman Colin Miller, who was acquired from the Los Angeles Kings hours before the first round of the 2015 NHL Entry Draft kicked off in exchange for Milan Lucic. The B’s also received goaltender Martin Jones (since traded to San Jose for Sean Kuraly and the Shark’s 2016 first-round selection) and the Kings’ top pick, used to select defenseman Jakub Zboril last June. Miller has been one of the few bright spots on a beleaguered Boston defense corps in the early going of the 2015-16 season, so we’ll peel the onion back a bit on Miller and take a look at what he brings to the table as a two-way defenseman who appears to be just scratching the surface of what could end up being something special if he continues to develop his impressive physical tools and knack for generating offense. This post will attempt to assess his talents the way the Bruins like to- using their “5 S’s”- Size, Skating, Shot, Sense and Spirit (character), while also looking at his offensive and defensive play based on film study and live game viewing going back to his AHL time with the Manchester Monarchs. Background: Miller is a late ’92-born player who was first eligible for the NHL draft in 2011, but was passed over that year after completing his first OHL campaign with the Sault Ste. Marie Greyhounds, his hometown team. The Kings invited him to their prospects and main camps that summer and he impressed them, but went back into the draft. After an uptick in offensive production in his second OHL season, the Kings spent a fifth-round choice on him in 2012. As he was a second-year eligible, there wasn’t a great deal of information on him leading up to that draft in Pittsburgh. 2012-13 was a major breakout for him, as he scored 20 goals and finished second to Red Wings prospect Ryan Sproul in scoring with the ‘Hounds, tallying 55 points in 54 games that year. A solid if unspectacular rookie pro season with Manchester in 2013-14 was again followed up by a breakthrough year, as Miller scored 19 goals to lead all Monarchs defenders in scoring, while playing a key role on his team’s run to the 2015 Calder Cup championship. In 12 games with the Bruins (he was a healthy scratch on opening night after making the roster out of training camp), Miller has a goal and seven points, and is also a +5. His scoring includes a current six-game streak (1g, 5 assists). He is tied with Zdeno Chara for second on the team in scoring from the blue line behind Torey Krug. Size: At about 6-foot-1 (he’s probably a shade under that and closer to 6-foot), 196 pounds Miller does not possess ideal size for the position but he’s not undersized either. He’s pretty well in the middle of the physical range which allows him to handle some of the bigger, more powerful forwards in the league. Skating: Miller is a fluid, effortless skater who generates above average speed in the open ice and demonstrates the lateral mobility required to excel at the position. He is particularly adept at closing on opponents using a quick short-area burst to narrow and control his gaps, while also possessing the quickness and acceleration to carry the puck out of his own end and lead the rush. Although it did not result in a goal, he made a memorable rush against Washington Capitals goaltender Braden Holtby this past week in Boston’s 4-1 loss, leveraging his powerful stride to back defenders up in the neutral zone, while effectively and crisply edging to cut across the grain and open up a shooting lane as his opponents lost the containment on him. More than ever, the modern NHL defenseman must have above average to exceptional skating ability not only to lead and join the rush, but to be able to get back in puck retrieval to beat the opposing forecheck and begin the breakout/transition back to offense. Miller has the skating bona fides in this regard, having won the fastest skater competition at the 2015 AHL All-Star Game, but also excelling in his footwork; pivots and changes of direction. This is particularly noticeable in the way he is able to walk the line on the point to open up shooting lanes for himself or passing lanes for better puck distribution into open spaces and better scoring chances. Shot: This is one of Miller’s signature attributes, and is why he’s hovered at or around 20 goals in two of out his last three seasons. As you can see from his first NHL goal, Miller can load up and generate tremendous speed and power on his shot. Again- he won the hardest shot event at the All-Star Game last year, so when Miller is able to step into a shot, it’s a screamer that requires a lot of courage for players to step in front of. He’s also got an effective snap shot, as he will get it off quickly and is able to put it on net through traffic. Miller has also shown a penchant for identifying effective shot selection by not just putting his head down and driving the puck, but by reading the play and goaltender and making a better choice to hide the release point and get a shot to the net that will either force the goaltender to make a stop, or allow a teammate to deflect it on net for a better scoring opportunity. This plays into his next attribute, which is Miller’s instincts for the game. Sense: From an offensive defender standpoint, Miller has higher-end hockey IQ: he can see the ice extremely well and reads the play to react instinctively and make good decisions in moving the puck to an outlet or taking it himself. He plays a poised, mature game for one so relatively young and inexperienced at the NHL level. On the defensive side of things, he’s still a work in progress, as he will sometimes be a little slower to anticipate where the puck is going when in his own end. However, there hasn’t been a moment this season where Miller has looked truly lost in the defensive zone- he uses his instincts to make more positive plays than negative ones. Spirit: After watching him play not only in Boston but in Manchester and even with clips out there from his major junior days, it is readily apparent why Don Sweeney and his pro scouts wanted Miller as part of the return package for Lucic. He plays a spirited, edgy game at times when he needs to, even if being a snarly, physical and even intimidating hitter is not a part of what he brings to the table. Miller has the ability to level a big hit (as evidenced from the preseason hip check above) and will drop the gloves to defend himself or teammates, but he’s much more of an above-the-fray kind of two-way defender who works hard and is a good guy in the room. He’s not an overly adept fighter, but is willing to give it a whirl when challenged. We’ll see his first NHL fight at some point, I’m sure. Defensive zone play: While not exactly a strength yet, Miller is not a liability in his defensive play. At times, he’s got to remain cognizant of his gap control and stick positioning. Around the net, he has been caught watching the play instead of picking up his man. A lot of what he needs to improve revolves around experience and will likely manifest as he continues to learn and grow within the Boston system and get better with his read/reaction on defense. He’s already a solid 1-on-1 player, who uses his mobility and smarts to keep opponents from taking a direct path to the net. So far, he’s demonstrating effectiveness while partnered with Chara, which should only help him going forward if Claude Julien keeps the two together. In fact, giving Miller an expanded role on the penalty killing unit might help stop the bleeding. He may be young yet, but with his mobility and instincts, it’s worth a shot. Offensive zone play: Miller is already above average and with Chara’s overall offensive play declining, will challenge Krug as the team’s most capable offensive player from the blue line in time. He is assertive, not afraid to handle the puck at 5-on-5 or on the power play, and skates with his head up, finding the seams in defenses that allows him to make clean passes and maintain puck possession. If one did not know he was a rookie, you would think he’s a 5-10 year veteran sometimes with the way he is able to dish passes off of either side of his blade while making it look effortless in the process. Projection: “Chiller” has all the makings of a solid No. 2 defender in the NHL and long-term solution in Boston. He has both he physical and mental attributes to log big minutes and play in all situations. He’s in refinement mode, meaning he doesn’t have huge gaps to address in his overall package, but rather- just needs to develop through experience and shared understanding with his teammates and coaches. 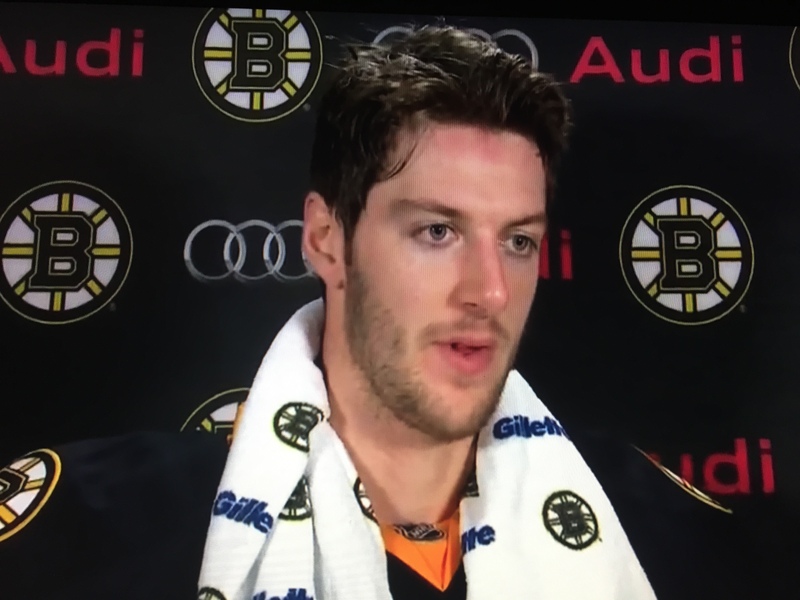 In retrospect, it is hard to figure out why Dean Lombardi and the Kings allowed Colin Miller to depart as part of a pretty good package they gave up to Boston without his even being included, but the Bruins and their fans should be happy they did.